It’s apple harvest season so I urge you to offer as many variety of apples as you can find to the kids. 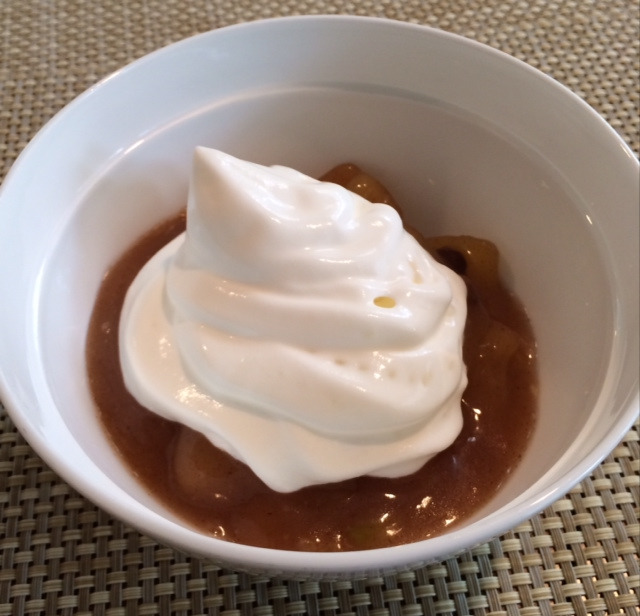 Here’s a really simple, warm, apple dessert to make for the kids in your care. After warming up the apples don’t skimp on store bought whipped cream to top this satisfying dessert. I have described how to make both the easy apple dessert and whipped cream recipes separately below. Feel free to increase the recipe to use many more apples since the kids will likely want much more of this sweet treat then one apple can make. Melt butter in a skillet over low heat. Add apples, and increase the heat to medium-high. Cook for 5 minutes, stirring occasionally. 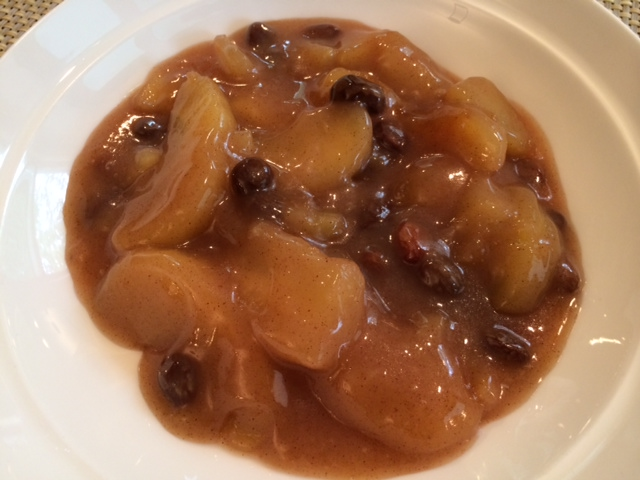 Stir in apple cider, brown sugar, cinnamon, vanilla, and raisins. Cook over medium heat until the liquid has reduced and is thick. Whip the cream quickly with a wire whisk until the cream is slightly thickened. Then add the sugar and vanilla. Continue to whip until cream forms soft peaks. Don’t whip beyond the soft-peak stage because the cream will get too stiff and start to become butter. Whipped cream made with good-quality cream should last for 24-hours.